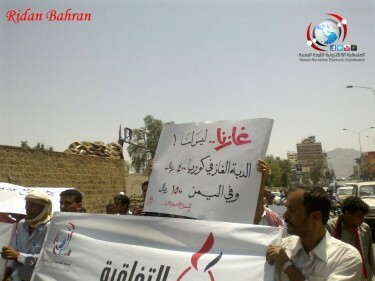 Over the past two months, revolutionary youth and activists have been organizing marches demanding an end to all corrupt deals made during Saleh’s reign. 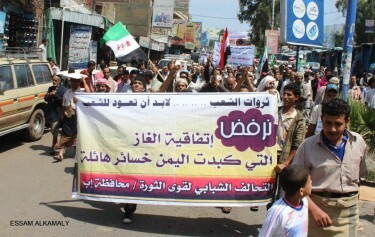 A march demanding the cancellation of a liquified gas sales agreement with South Korea under the slogan “the people reclaim their wealth” was initiated by the Yemeni Revolution Electronic Coordination this week. Posted on November 2, 2012, in Middle East, Uncategorized and tagged Yemen. Bookmark the permalink. Leave a comment.